Last week, Kim and I took her parents and maid of honour to see the place we have chosen to get married, Deer Creek. 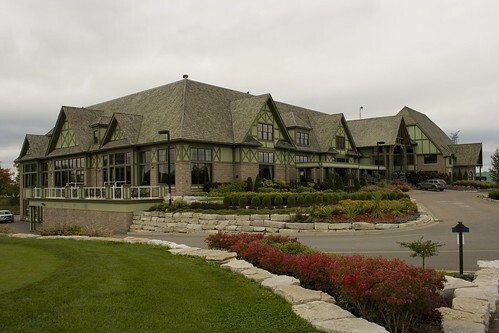 It’s a golf and country club out in Ajax, Ontario. 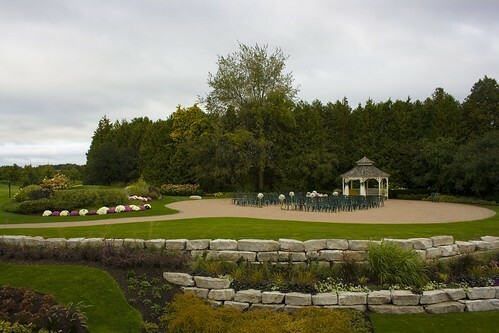 Pictured above is where our outdoor ceremony will be held (weather permitting of course). If the weather turns nasty on us, we’ll be bringing the ceremony into the reception hall, which is conveniently just a stone’s throw away. The reception hall also comes with a balcony that overlooks a pond. We picked this location because it is beautiful and convenient for a lot of our family. 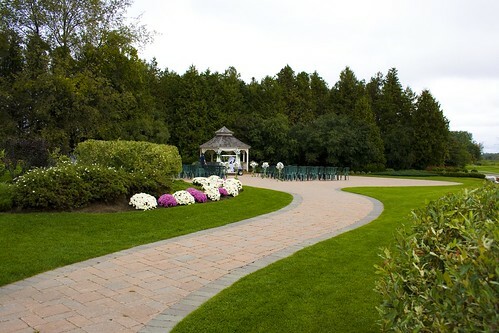 It also allows us to have the ceremony and reception at the same place.